What a treat for me personally, reading yesterday's post- Meg's interview of Sheila. 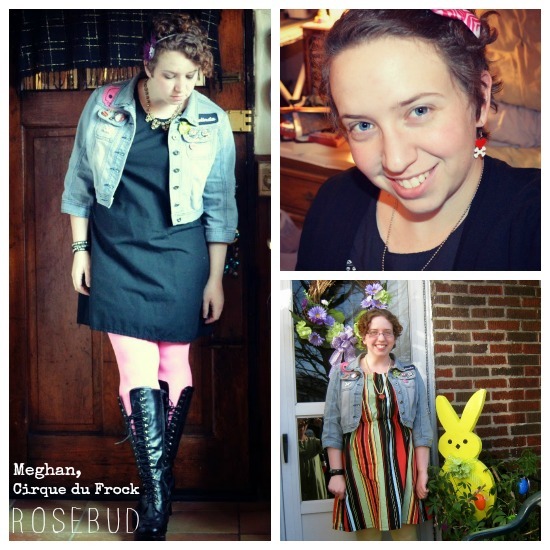 A big thank-you goes out to Meghan, of Cirque du Frock for her numerous and amazing contributions to this blog. Meghan- you ROCK, and I can't thank-you enough for the added energy you're bringing to the Citizen. And Sheila, long on my radar, gave me even greater inspiration after learning more about her. So, this seems a perfect transition in regards to the new "home" for #SHOESHINE. 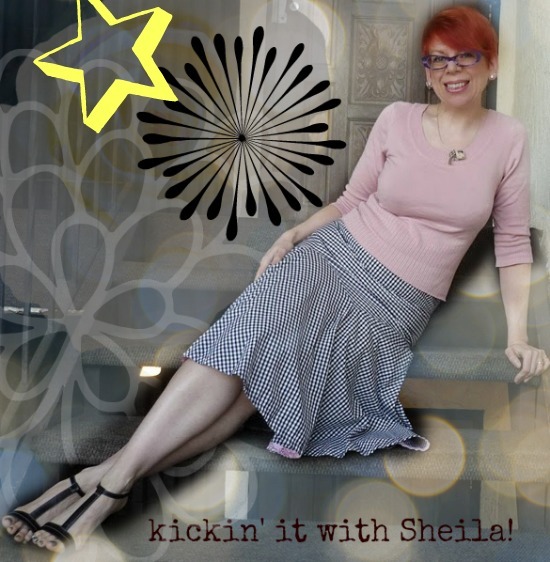 Quite frankly, Sheila was a "shoe in" for the job, so when she expressed interest in taking over our community event and shoe party link-up, it was a no brainer. With Sheila's grand style, and ah-mazing shoe collection (her Fluevog collection alone leaves me shivering with shoe lust) her +40 style blog, Ephemera is the perfect spot for Shoe Shine. 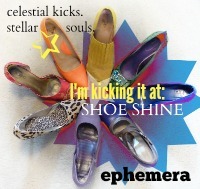 We'll be sure to keep you posted, once she makes her announcement, for SHOE SHINE'S new dates and times. Meanwhile, if you plan to participate, please put this cool, new widget on your side bar and link it to Sheila (http://sheilaephemera.blogspot.com) when you can. That is a match made in fluevog heaven! What a perfect idea. Can't wait to see the first one and show off my new red shoes. I'm so happy that Shoe Shine has a home and this sounds like the perfect transition. Thanks Bella, for the idea and for Sheila for keeping it alive. Wouldn't miss Saturday! It seems so obvious now, doesn't it? Sheila - Shoe Shine. All those S's - all those shoes - that amazing energy she brings to blogging every day. What a perfect fit! I'm so excited! 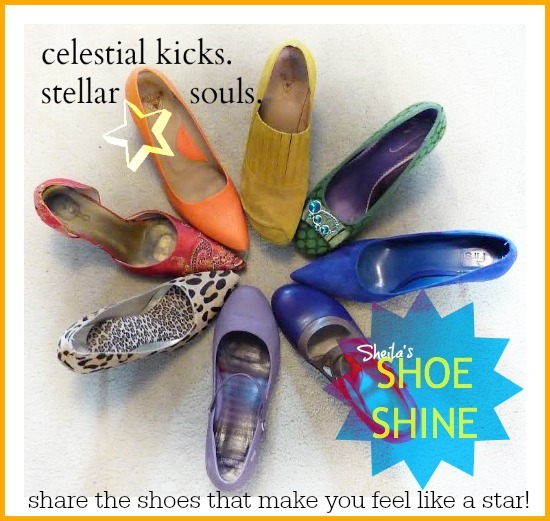 I think Sheila is just the ticket for amazing shoe parties! !